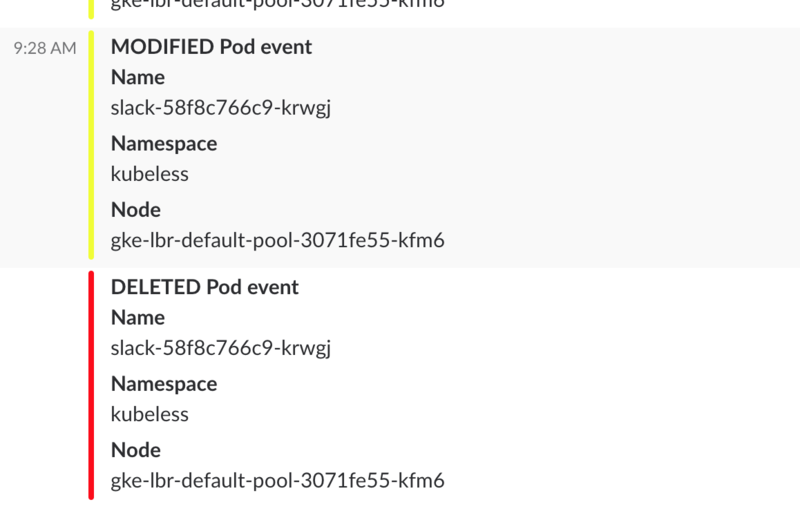 Previous visitors to this blog will remember I wrote about configuration mgmt for Kubernetes clusters, and how the space was lacking. For those not familiar, the problem statement is this: it’s really hard to maintain and manage configuration for components of multiple Kubernetes clusters. As the number of clusters you have starts to scale, keeping the things you need to run in them (such as ingress controllers) configured and in sync, as well as managed the subtle differences that need to be managed across accounts and regions. With that in mind, it’s my pleasure to announce that at my employer, Apptio we have tried to solve this problem with kr8. kr8 is an opinionated Kubernetes cluster configuration management tool, designed to be simple, flexible and use off the shelf tools where possible. This blog post details some of the design goals of kr8, as well as some of the benefits and a few examples. The intention when making kr8 was to allow us to generate manifests for a variety of Kubernetes clusters, and give us the ability to template and override yaml parameters where possible. We took inspiration from a variety of different tools such as Kustomize, Kasane, Ksonnet and many others on our journey to creating a configuration management framework that is relatively simple to use, and follows some of the practices we’re used to as Puppet administrators. The end goal was to be able to take existing helm charts, or yaml installation manifests, then manipulate them to our needs. We chose to use jsonnet as the language of kr8 due to its data templating capabilities and ability to work with both JSON and YAML. However, using the kr8 binary alone is probably not what you want to do. We bundle and use a variety of other tools with kr8 to achieve the ability to generate manifests for multiple clusters and deploy them. Task does a lot of the heavy lifting for kr8. It is a task runner, much like Make but with a more flexible DSL (yep, it’s yaml/json!) and the ability to run tasks in parallel. We use Taskfiles for each component to allow us to build the component config. This gives us the flexibility to use rendering options for each component that make sense, whether it be pulling in a Helm chart or plain yaml. We can then input that yaml with kr8, and manipulate it with jsonnet code to add, modify the resulting kubernetes manifest. Alongside this, we use a taskfile to generate deployment tasks and to generate all components for a Task. This gives us the ability to execute lots of generate manifest jobs in relatively short periods of time. We use Kubecfg to do the actual deployment of these manifests. Kubecfg gives us the ability to validate, diff and iteratively deploy Kubernetes manifests which kubectl does not. The kubecfg jobs are generally inside Taskfiles at the cluster level. I want to thank Colin Spargo, who came up with the original concept of kr8 and how it might work, as well as contributing large amounts of the kr8 code. I also want to thank Sanyu Melwani, who had valuable input into the concept, as well as writing many kr8 components. You’ll obviously need a slack org to try this out, and need to generate a slack token to get API access. However, now, once you cycle the events pod again (or, run another pod of course!) - you’ll now see these events pushed to slack!